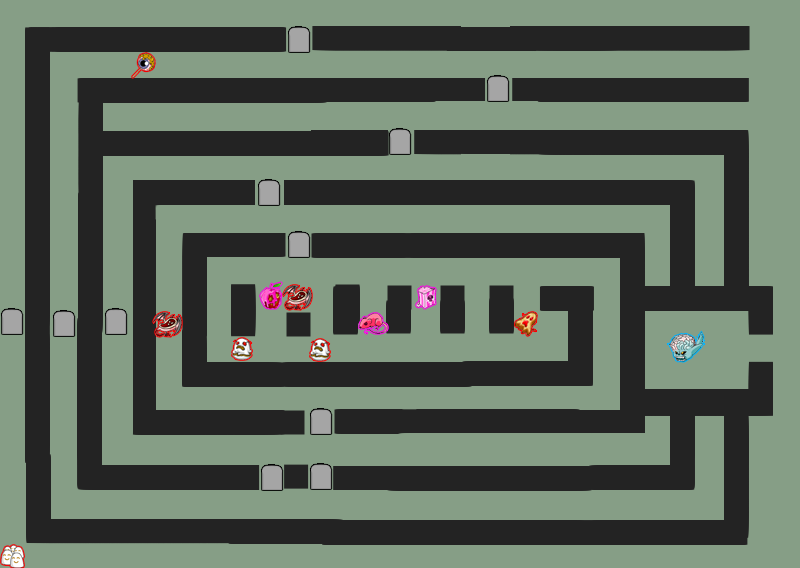 The only controls in Mutant Graveyard of Doom II are the arrow keys to move Albert around and space bar to push over certain objects. Albert can pick up items scattered across the level just by walking over them; some of these items are neccessary to progress to the next level and some items can have additional effects. Albert's health is his lantern, the brighter it is, the more health he has. When Albert is damaged by enemies walking into him, his lantern will dim. If the lantern is extinguished entirely, you will lose one of your three lives and Albert will be transported back to where he started in the level, but will retain his score and collected items. 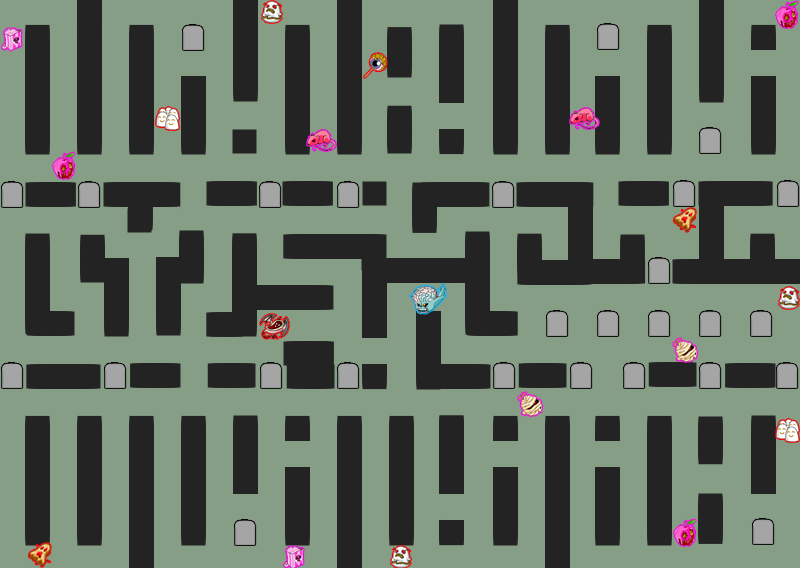 Albert cannot earn any extra lives throughout the game, so once one is lost, it cannot be recovered. 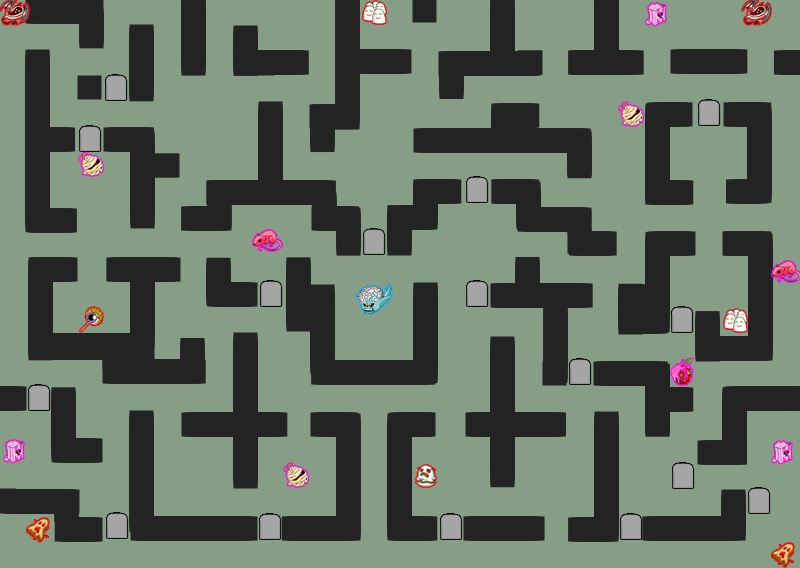 The number of lives that Albert has is indicated by the candle in the top left corner of the game screen. The fewer lives Albert has left, the shorter the candle will appear. Albert isn't much of a fighter, so your only choices when confronted with an enemy are to either run away or try to crush the foe under a nearby object. 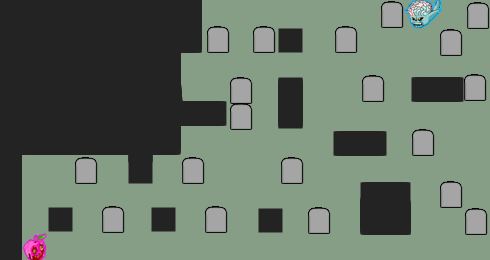 For most of the game, only blank tombstones can be knocked over, but in the last few levels, they will be replaced with broken stalagmites. 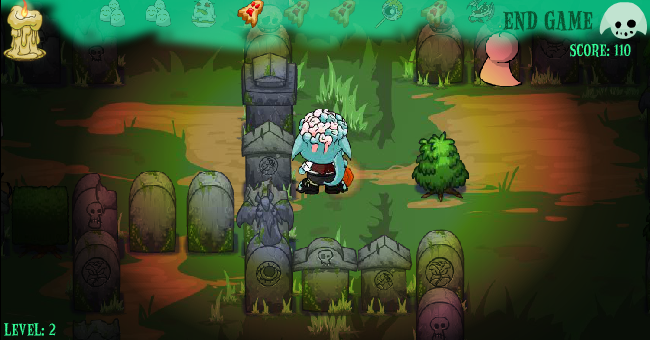 The tombstones/stalagmites can be used as a weapon or a shortcut through the tricky terrain once moved, but they can only be pushed upwards or downwards. At the top of the game screen, you'll see a row of items. The items that are faded are ones that Albert must collect to proceed to the next level and the fully opaque items are the ones that he's already picked up. As soon as Albert picks up the last required item for a level, he will be sent to the next level. 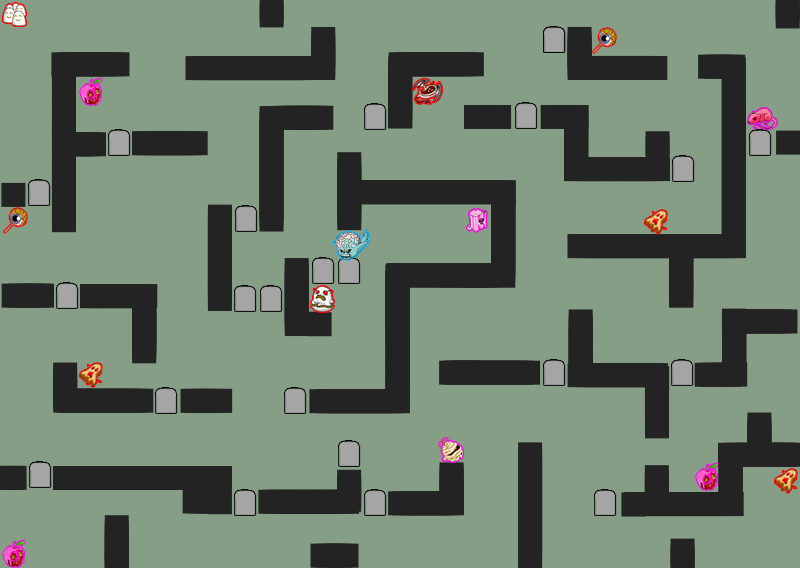 There are a total of sixteen levels in this game; levels one to five are set in a forest, levels six to ten are in a crypt, levels eleven to fifteen are in a cave and the last level is a boss fight in the gravedigger's shack. There are two ways to score points in Mutant Graveyard of Doom II, the first is for picking up items. Any item that you pick up, good or bad, will score you 10 points. 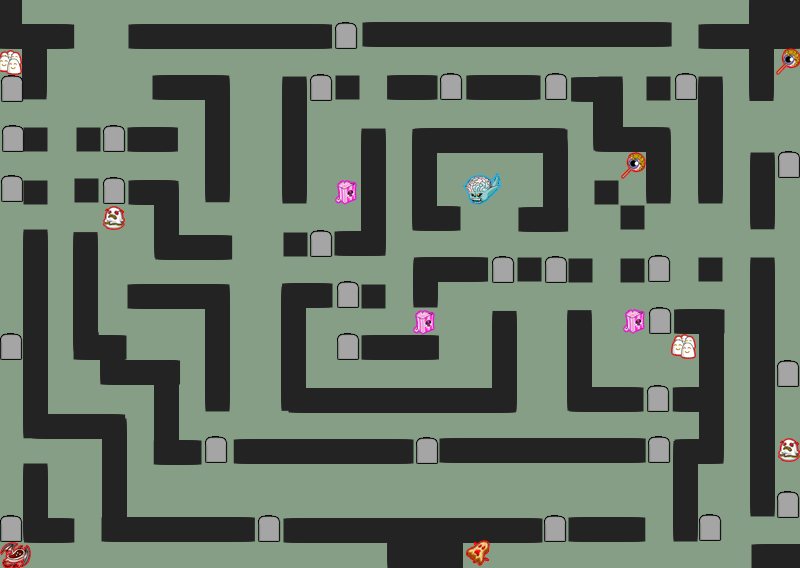 The second way to score points is to defeat enemies with tombstones/stalagmites, each will give you 50 points. 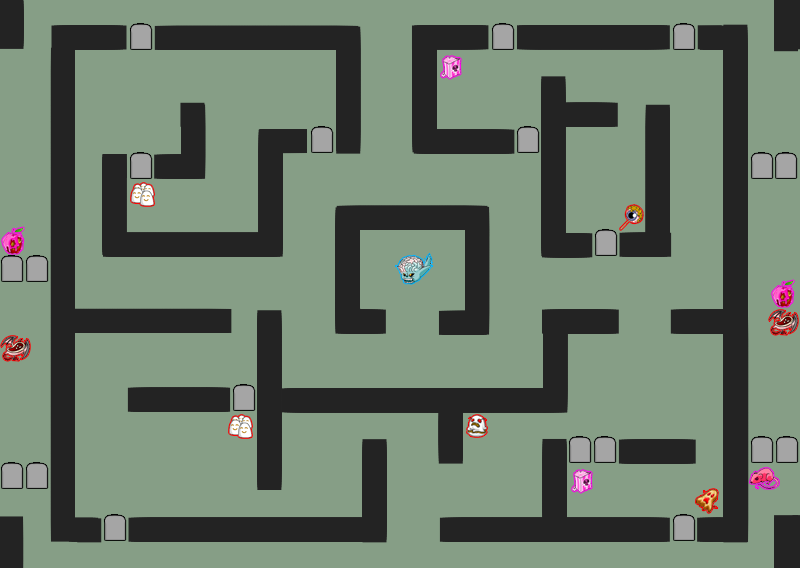 If Albert loses a life, enemies and items will not respawn in that level, which means that each level has a maximum amount of points that can be earned. 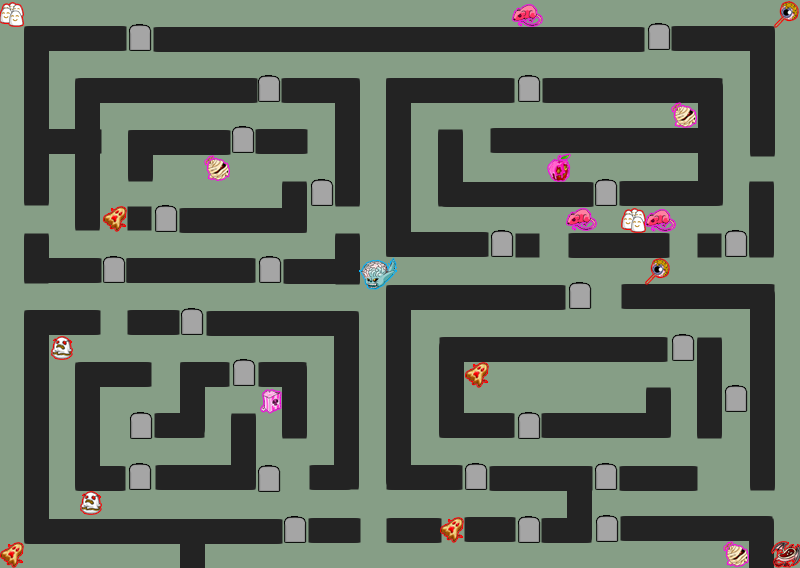 By the end of the game, the maximum score you could possibly achieve is 7950 points. The majority of the points that can be earned in a level comes from defeating enemies, so try beat as many enemies as possible before moving on to the next level to maximise your score. The final boss of the game awards 150 points when defeated rather than the 50 points other enemies give. The strategy to scoring the most points in this game is a simple one, but it's not fast. 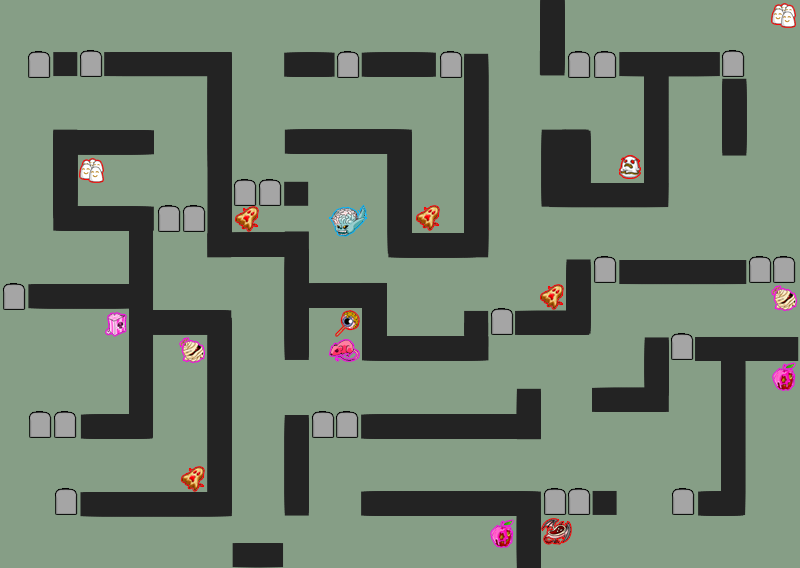 At the start of each level, you may want to start picking up all the items for the Esophagor, but there are a lot more points to be made if you hang around and beat the enemies. 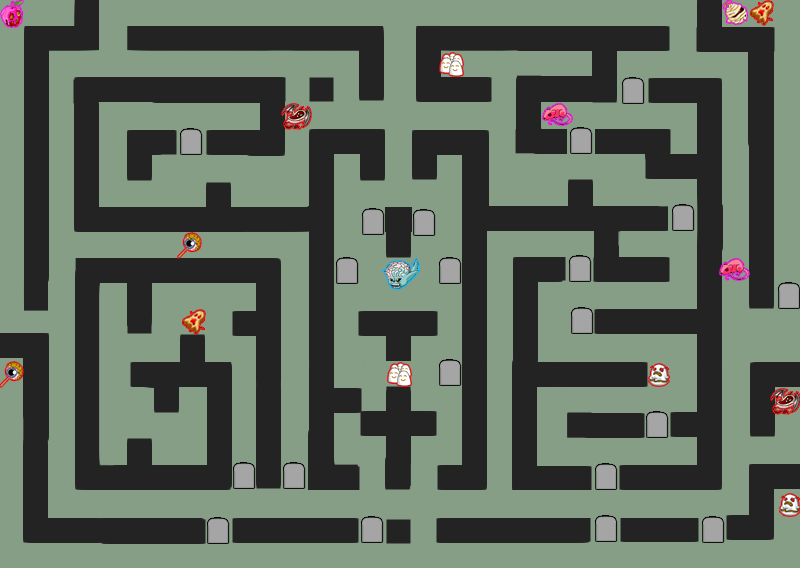 Before you start running around, looking for items, find the nearest enemy to you and find the nearest pushable tombstone to them. Position yourself on the side of tombstone opposite to the enemy and wait there until the enemy walks directly in front of the tombstone, then knock it over. Enemies can move quite randomly and it may take some time for them to move into a position for you to crush them. If an enemy starts moving too far away, you should quickly find another tombstone closer to them and get ready to squash them there. 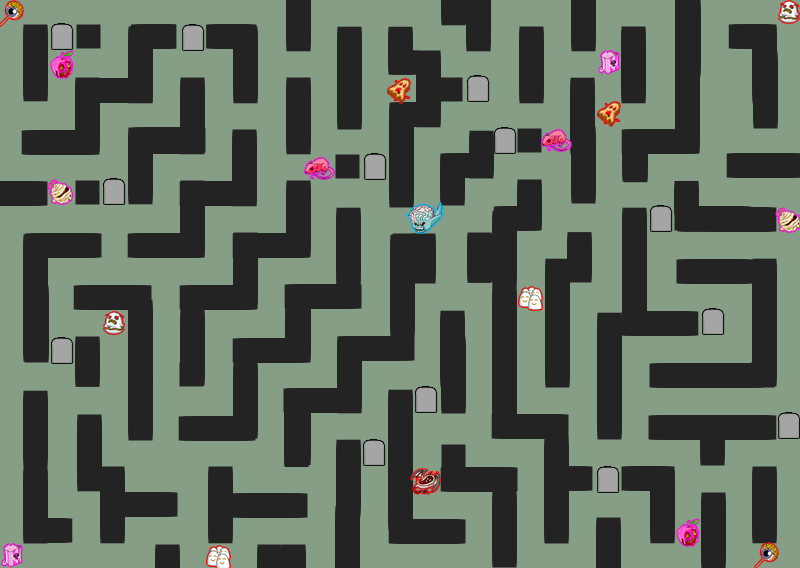 There are four types of enemies in the game to watch out for; Chumablahs, Jowlards, Ghostkerchiefs and Sentient Tombstones. Chumablahs and Jowlards are easy prey, because they just walk around aimlessly, but the other two are trickier. 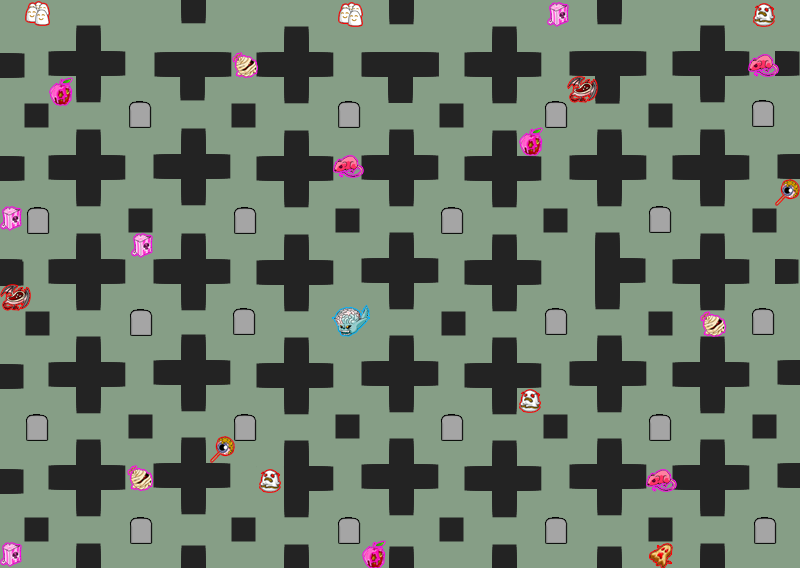 The Ghostkerchiefs are able to move through the tombstones and terrain, which makes them more difficult to catch, however, if a Ghostkerchief is inside of a tombstone as you knock it over, it will still be crushed. As for Sentient Tombstones, they can pretend to look like the regular, non-pushable tombstones, so be careful not to bump into one when wandering about. 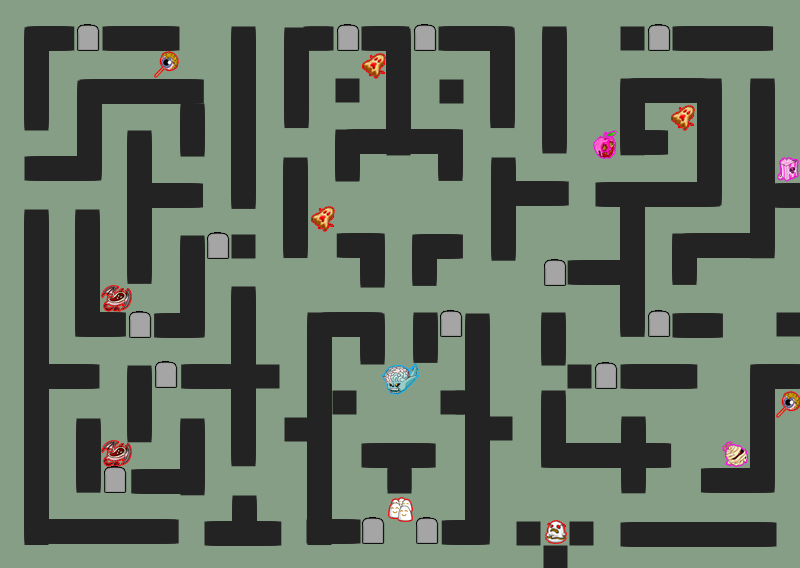 If you reach the final level of the game, you'll have to face the boss, who can be defeated by leading him into and crushing him under nearby tombstones three times. Enemies become better at seeking out Albert in the later levels, take care! 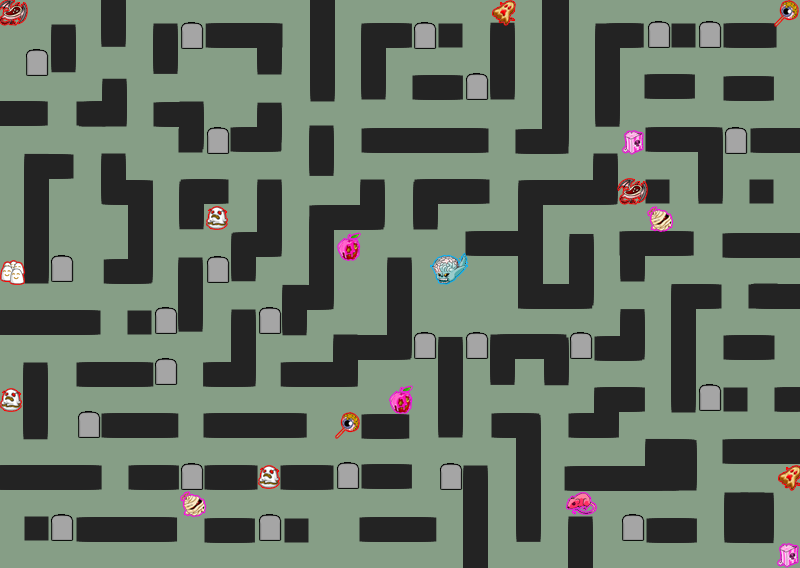 The maps shown here can help you find all the items in each level and allow you to decide what the best route might be. 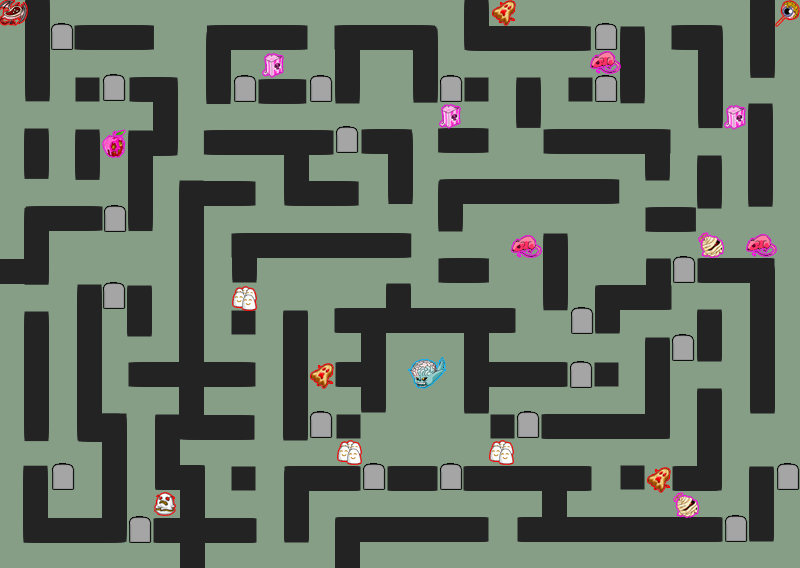 The Mutant Kacheek icon shows where Albert starts in the level, the tombstone icons show the location of tombstones that can be pushed over and the other icons are for the various items. The black lines are impassable terrain that you'll have to run around.